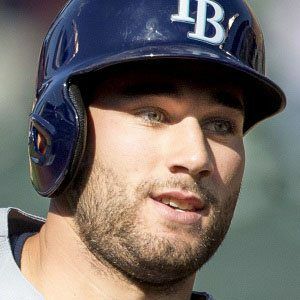 Outfielder who made his MLB debut in 2013 for the Tampa Bay Rays, known for his incredible center field defense. He played baseball at Parkland College; he made his MLB debut on September 30, 2013. He won the Rawlings Gold Glove Award for center fielders twice in 2015 and 2016. He was born and raised in Fort Wayne, Indiana to parents Chris and Jim. He also has siblings, Steve and Dan. Reliever Fernando Rodney was his teammate on the Rays.